On the eve of the International Nursing Association for Clinical Simulation and Learning (INACSL) annual conference in Washington, D.C., CAE Healthcare announced the release of CAE Juno, a newly designed clinical skills manikin for nursing programs. As access to clinical practice hours with live patients continues to diminish, CAE Juno will deliver consistent and effective simulation-based training to prepare nursing students and interprofessional teams for today's healthcare environments. 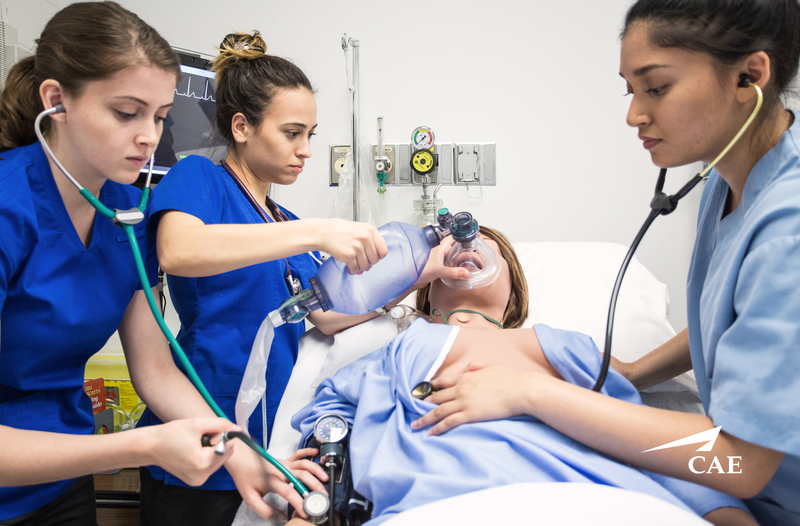 The U.S. National Council of State Boards of Nursing (NCSBN) released a multi-year study in 2014 on the effectiveness of simulation training in pre-licensure nursing programs. Among other findings, the study reported that nursing students who spent up to 50 percent of clinical hours in high-quality simulation, using the INACSL Standards of Best Practice: Simulation and conducted by trained facilitators, were as well-prepared for professional practice as those whose experiences were drawn from traditional clinical practice. (Read more at https://www.ncsbn.org/685.htm.) CAE Juno is designed to help bridge that gap between classroom and hospital settings. "CAE Juno rounds out our family of high-fidelity patient simulators by helping to ensure that nursing students master critical, fundamental clinical skills before they interact with real patients or participate in interprofessional team simulations," said Dr. Robert Amyot, president of CAE Healthcare. "As an affordable manikin backed by the power of CAE's simulation expertise, CAE Juno will allow us to offer CAE simulation to a broader audience of healthcare students and professionals." CAE Juno was designed with guidance from clinicians and healthcare educators to provide ease of set up, operation and maintenance within busy skills labs. She is fully wireless and tetherless, and can easily convert to a male manikin, which will save costs and space within simulation programs. With a new tablet-based software program and ten Simulated Clinical Experiences (SCEs) developed by the CAE Healthcare Academy, CAE Juno will include evidence-based learning content that instructors can immediately integrate into their nursing programs. CAE Juno is available for sale at the INACSL conference, the HPSN (Human Patient Simulator Network) UK 2017 conference and through CAE's global sales team, with delivery expected in time for fall semester nursing courses. For more information, visit caehealthcare.com/juno. CAE (NYSE: CAE; TSX: CAE) is a global leader in the delivery of training for the civil aviation, defence and security, and healthcare markets. We design and integrate the industry's most comprehensive training solutions, anchored by the knowledge and expertise of more than 8,500 employees, our world-leading simulation technologies and a track record of service and technology innovation spanning seven decades. Our global presence is the broadest in the industry, with 160 sites and training locations in 35 countries, including our joint venture operations, and the world's largest installed base of flight simulators. Each year, we train more than 120,000 civil and defence crewmembers, as well as thousands of healthcare professionals.